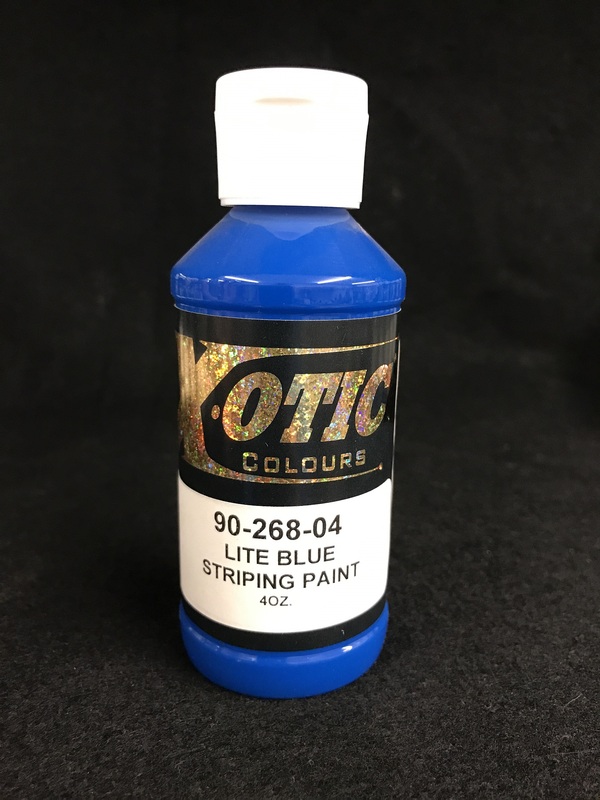 X-otic Striping Paints are specially formulated for the accomplished Pin Striping artist as well as the novice Pin Striper. They are made with the best acrylic urethane resin available. 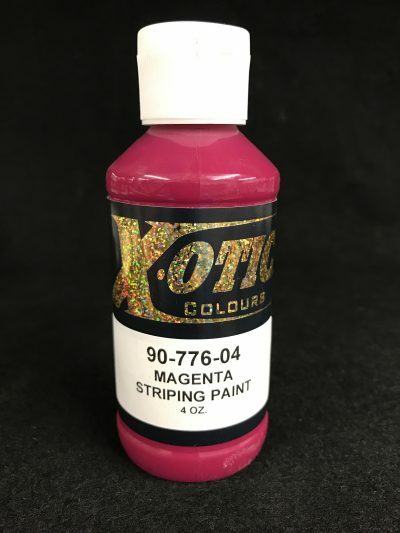 This product is second to none in its ability to assist the Pin Stripe artists with the most unique and brightest colors available. Along with superior performance and coverage these colors lay down flat and dry rapidly. Our 38+Striping Colors are available in a wide range of striking, vibrant colors. For best results use X-otic Colours part number 50-333 Slow Urethane Reducer for palleting.